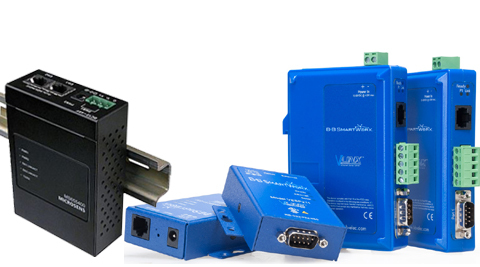 Ethernet Serial Device Servers enable you to easily connect any equipment with an RS232, RS422 or RS485 serial port to Ethernet. Serial-to-Ethernet products are specifically designed to allow industrial devices to be directly accessible from the network. These advanced serial Device Servers are the best choice for connecting async devices such as modems, POS, printers and industrial equipment to serial based COM port, UDP or TCP socket based applications. Legacy devices can thus be transformed into Ethernet devices, which can be monitored and controlled from any network location or even the Internet.